The late icon's Blackstar album has been shortlisted along with albums from the likes of Radiohead, Michael Kiwanuka and The 1975. David Bowie has been nominated for a posthumous Mercury Prize. The late icon's Blackstar album has been included in the shortlist for the award, which celebrates the best British album of the year. 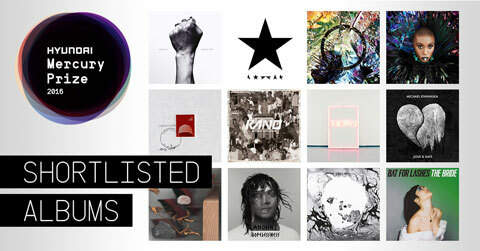 Also making up the Hyundai Mercury Prize 2016 list is Michael Kiwanuka for his Love & Hate LP, Radiohead for their A Moon Shaped Pool, and The 1975 for their I like it when you sleep, for you are so beautiful yet so unaware of it. This marks the fifth time Radiohead have been nominated for the award, previously being recognised in 1997, 2001, 2003 and 2008 for their OK Computer, Amnesiac, Hail To The Thief and In Rainbows albums respectively. Former Mercury Prize winner - Anohni also sees a nomination for Hopelessness, previously receiving the honour under the name Anthony And The Johnsons. Other artists in line for the prestigious honour and £25,000 prize include Laura Mvula, Bat For Lashes, Skepta and Savages.